A matte paste to rival the best out there! Have you tried Shear Rival Northern Lights? Upload your picture and leave a review below! A really impressive matte paste from Shear Revival. It’s so easy to use with a fantastic, natural looking finish 0 with hold! I would definitely buy this again. Northern Lights Matte Paste was created out of our love for natural texture and looks in the hair care industry. Getting my start in the salon industry, creating a product like this has always been a goal for me. I truly believe we’re bridging a gap between healthy home-brewed & chemical based cosmetic lab-made products. We always get the job done with the hair & scalps health in mind. For best results: Northern Lights should be applied in dry hair. The product stays malleable all day and washes out 100% with shampoo. Aloe Barbadensis Juice, Kaolinite (White Clay), Cera Alba (Beeswax), Ricinus Communis (Castor) Seed Oil, Carnauba (Copernicia cerifera) Wax, Helianthus Annuus (Sunflower) Seed Oil, Emulsifying Wax NF, Theobroma Cacao Butter, Hydrogenated Castor Oil, Calendula Officinalis Flower Oil, Phenoxyethanol (and) Caprylyl Glycol, Fragrance, Citrus Medica Limonum (Lemon) Peel Oil, Citrus Aurantifolia (Lime) Oil, Salvia Sclarea (Clary) Oil. Shear Revival started in a small kitchen in Asbury Park, NJ in October of 2013. After not being satisfied with what the grooming market had to offer, they out to create a product that works, with ingredients that you can pronounce, while always keeping health & wellness in mind. Founder of the company, Zachary West, has worked in the personal care industry as a stylist & barber for over a decade. Using that wealth of knowledge, he decided to set off onto this endeavour. It’s ok. I’ve tried a lot of matte pastes, Arcadian, Monarche, Morris Motley TSB, Label M. and now this. This is more the oil/wax, white type paste like TSB and the Label M. product than the clay-based Monarche/Arcadian. Nice packaging that make my hair feel healthy. Smell is like extremely sweet, not really enjoyable for me, like I have cake in my hair. Hold is very pliable. I can move my hair around pretty easily, but it’ll stay wherever I leave it. Finish is not quite matte, has some sheen to it, Doesn’t thicken/firm or control flyaways too well. In comparison to the kevin murphy rough rider, which one has the strongest hold that will last all day? i have pretty thick, long, and heavy hair and have had more trouble then you could imagine finding a matte product that will meet my styling needs. ps. love the videos. Thank you Robin for recommending this paste! After Kevin Murphy Night Rider (which was too oily and heavy for me), Kevin Murphy Rough Rider (which was too strong and dry) and Hanz de Fuko Claymation (which was sooo overhyped and so average at every aspect ie. texture, hold, smell, package) I finally found my grail. Northern lights. Quality glass jar with beautiful label. Amazing, natural citrus scent. Great hold and unbelievable texture. i couldn’t be more happy with it. The only problem is it’s oos on most sites, and generally hard to find in my country (Poland). And it’s on the sticky side so not everyone will be as satisfied as I am. Could you explain the difference between this product and Crystal Lake? I’m not sure which one to buy. Doesn’t work too well for my thick hair. The hold is not sufficient, it’s overly sticky to apply. I love the packaging and smell, but would not buy it again..
One of my favorite products for sure. Absolutely love the scent. Kind of smells like fruit loops imo. Great everyday product but have noticed that its very easy to use too much and less is defiantly more. I’ve been using Northern Lights for a few weeks now and I’ve been enjoying it. I have just over 8 inches of thick asian hair. I style in a messy quiff typically, and I’m honestly surprised how well this products works. Of course I use hairspray because of my hair length, but still my hair feels absolutely great throughout the day. I typically use clay products, but this this is a nice change with similar results. No significant complaints about Northern Lights, I recommend it to anyone looking up to try a lighter product but doesn’t want to lose out the benefits of a clay. 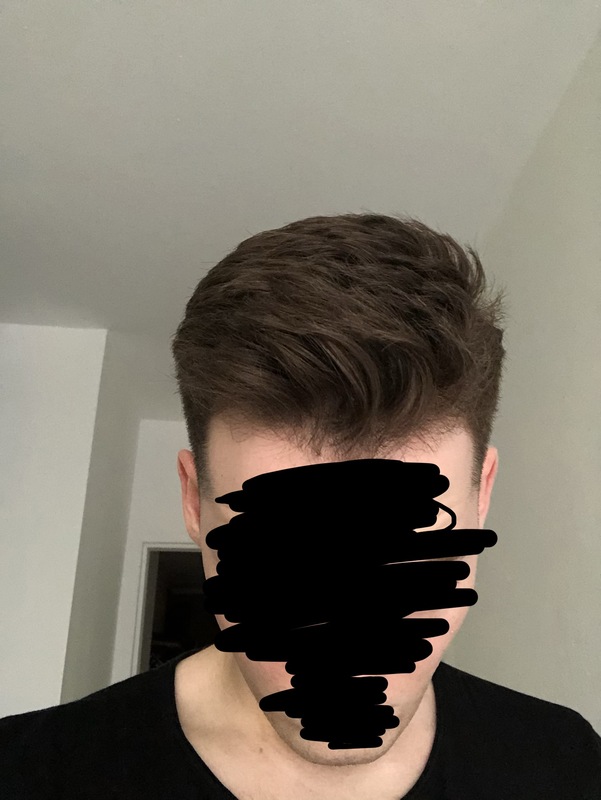 I have a straight Asian hair and using clay, can this product give a messy look for styling? Thinking about a hair transplant? Start here! Hair loss expert and Man For Himself contributor Spex explains what to know and what to do before going under the knife! While the outcomes are generally positive, a hair transplant is not for everyone. Are you the perfect candidate? It's time to upgrade your hair and grooming regime. Shop the best of these fragrance, hair and grooming products with our Black Friday deals.